Prominent Clients | Trusted Integration, Inc. 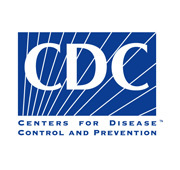 The Centers for Disease Control and Prevention (CDC) is a United States federal agency headquartered in Atlanta, Georgia. The CDC works to protect public health and safety by providing information to enhance health decisions, and it promotes health through partnerships with state health departments and other organizations. The CDC focus national attention on developing and applying disease prevention and control (especially infectious diseases and food borne pathogens and other microbial infections), environmental health, occupational safety and health, health promotion, injury prevention and education activities designed to improve the health of the people of the United States. The CDC is the United States' national public health institute and is a founding member of the International Association of National Public Health Institutes. The National Institutes of Health (NIH) is the primary agency of the United States government responsible for biomedical and health-related research. NIH's science and engineering counterpart is the National Science Foundation. 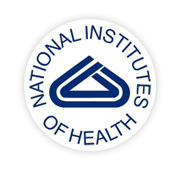 NIH comprises 27 separate institutes, centers, and offices which includes the Office of the Director. The goal of NIH research is to acquire new knowledge to help prevent, detect, diagnose, and treat disease and disability, from the rarest genetic disorder to the common cold. The NIH mission is to uncover new knowledge that will lead to better health for everyone. NIH works toward that mission by conducting research in its own laboratories, supporting the research of non-federal scientists (in universities, medical schools, hospitals, and research institutions throughout the country and abroad), helping in the training of research investigators, and fostering communication of medical and health sciences information. 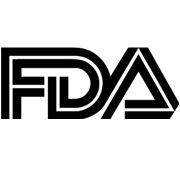 The Food and Drug Administration (FDA or USFDA), headquartered in Rockville, Maryland, is responsible for protecting and promoting public health through the regulation and supervision of food safety, tobacco products, dietary supplements, prescription and over-the-counter pharmaceutical drugs (medications), vaccines, biopharmaceuticals, blood transfusions, medical, electromagnetic radiation emitting devices (ERED), and veterinary products. The FDA also enforces other laws, notably Section 361 of the Public Health Service Act and associated regulations, many of which are not directly related to food or drugs. These include sanitation requirements on interstate travel and control of disease on products ranging from certain household pets to sperm donation for assisted reproduction. The Health Resources and Services Administration (HRSA) is a United States federal agency located in Rockville, Maryland. It is the primary federal agency for improving access to health care services for people who are uninsured, isolated or medically vulnerable. 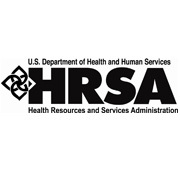 Comprising six bureaus and 13 offices, HRSA provides leadership and financial support to health care providers in every state and U.S. territory. HRSA grantees provide health care to uninsured people, people living with HIV/AIDS, and pregnant women, mothers and children. They train health professionals and improve systems of care in rural communities. HRSA oversees organ, bone marrow and cord blood donation. It supports programs that prepare against bioterrorism, compensate individuals harmed by vaccination, and maintains databases that protect against health care malpractice and health care waste, fraud and abuse. 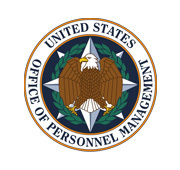 The United States Office of Personnel Management (OPM) is an independent agency of the United States government that manages the civil service of the federal government. The mission of the OPM is "recruiting, retaining and honoring a world-class force to serve the American people." WAPA is one of four power marketing administrations within the U.S. Department of Energy whose role is to market and transmit electricity from multi-use water projects. WAPA service area encompasses a 15-state region of the central and western U.S. in which its transmission system carries electricity from 56 power plants operated by the Bureau of Reclamation, U.S. Army Corps of Engineers and the International Boundary and Water Commission, and one coal-fired plant. Together, these plants have an installed capacity of 10,505 megawatts. 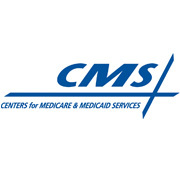 The Centers for Medicare & Medicaid Services (CMS) is a federal agency that administers the Medicare program and works in partnership with state governments to administer Medicaid, the State Children's Health Insurance Program (SCHIP), and health insurance portability standards. In addition to these programs, CMS has other responsibilities, including the administrative simplification standards from the Health Insurance Portability and Accountability Act of 1996 (HIPAA), quality standards in long-term care facilities (more commonly referred to as nursing homes) through its survey and certification process, and clinical laboratory quality standards under the Clinical Laboratory Improvement Amendments. 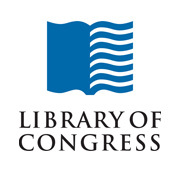 The Library of Congress is the research library of the United States Congress, de facto national library of the United States of America, and the oldest federal cultural institution in the United States. Located in four buildings in Washington, D.C., as well as the Packard Campus in Culpeper, Virginia, it is the largest library in the world by shelf space and number of books. The Library's primary mission is researching inquiries made by members of Congress through the Congressional Research Service. Although it is open to the public, only Library employees, Members of Congress, Supreme Court justices and other high-ranking government officials may check out books. As the de facto national library, the Library of Congress promotes literacy and American literature through projects such as the American Folklife Center, American Memory, Center for the Book and Poet Laureate. CNSI delivers a broad portfolio of information technology (IT) and business process outsourcing (BPO) solutions to a diverse base of federal, state and local government agencies, and commercial enterprises. The firm helps clients improve business performance and align IT with their mission and business objectives. CNSI has established strong domain expertise in prominent industries, including Health, Defense and National Security, Government IT and Enterprise Mobility. Formed in 1994, CNSI is headquartered in Gaithersburg, Maryland, with locations throughout the U.S. and India. ADTI is a Web Hosting industry leader, award-winning Cloud Services Provider (IaaS, PaaS and SaaS) and Email Services Provider (Exchange and POP3) with a proven track record of 17+ years. ADTI provides hosting services for thousands of customers nationwide and worldwide including several U.S. Government Agencies, Prime Contractors, and small and medium size commercial enterprises.